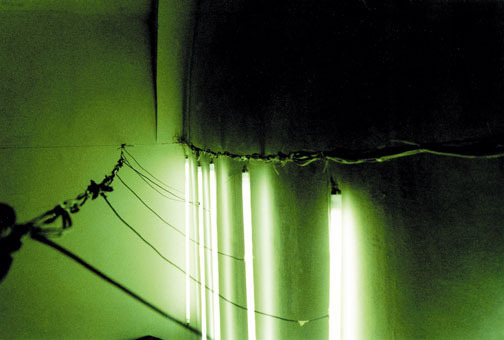 Neon_Z is as well a music instrument as an intervention in space. 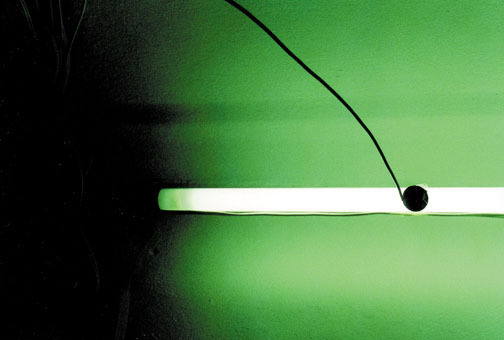 Several neon tubes are kept in a state of interruption, permanently flashing on and off, evoking a strong visual experience, which evokes afterimages on the perceivers' retina. 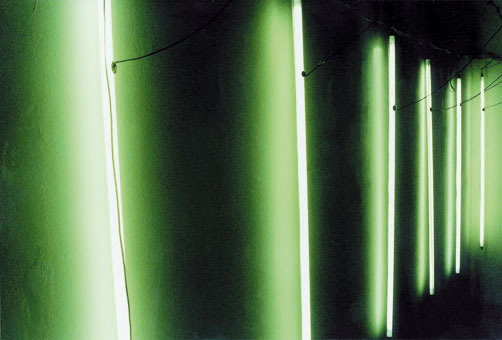 To the neon tubes connected are contact-microphones, which generate a polyrhythmic soundscape, thus exploring the interferences between sound and light. The completely darkened room is also labelled with phosphorescent text fragments which are also charging on and off. 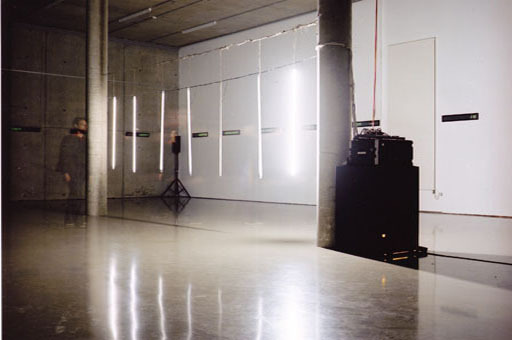 Text, sound and light build an interlinked, dys/functional system, all together exploring the limits of perception. 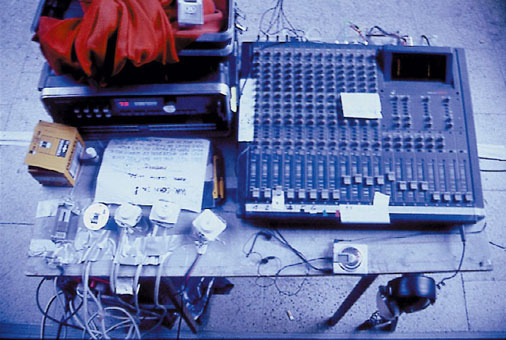 – "Hearings", various artists, CD, Transacoustic Research, Vienna, (tres 001), 2003. – "Emerging Artists", Sammlung Essl, Cat. 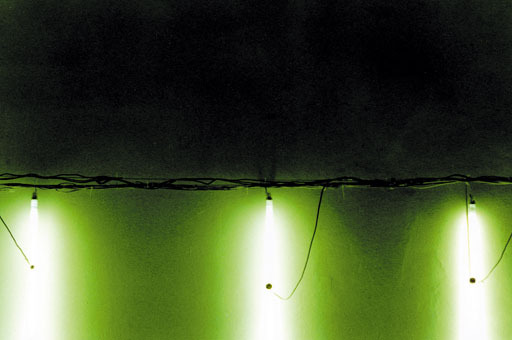 exhib., edition10, Klosterneuburg, 2001.